Hillary Clinton Is Running For President — Will She Join These Other Women Leading Their National Governments? The strong possibility that Hillary Clinton will be competing for the democratic nomination is a beacon of hope for those of us who would like to see the U.S. catch up with the rest of the world in its political representation of women. As impossible as it may sound, we still haven't elected a woman to the presidency despite at least 63 countries being led by a woman at some point over the last 50 years. And as if that weren't enough, the U.S. ranks 33rd out of the 49 highest-income countries included in a World Economic Forum report for representation of women in the national legislature. Although the announcement came today, Clinton has been gearing up for a presidential campaign for a while. Even more encouraging is that her prospects look pretty good so far: She's the likely the frontrunner among the potential democratic candidates, and she came out ahead of all the most probable Republican candidates in a recent ABC News-Washington Post poll. If Hillary Clinton ends up back in the White House in 2016, but as President this time, she'll be joining the ranks of these world leaders. described as the de facto leader of the European Union. Forbes named her the world's most powerful woman and fifth-most powerful person in 2014. Africa's first woman head of state previously served as Minister of Finance, worked for several banks, and was Director of the United Nations Development Programme's Regional Bureau for Africa before returning to politics and, after a series of imprisonments for her public dissent to Jackson Doe's regime, was elected into office in 2005. 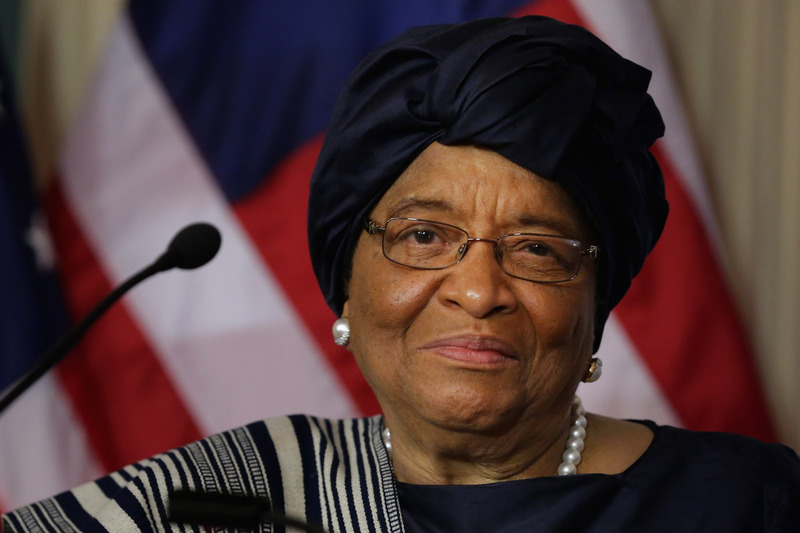 She is the recipient of the 2011 Nobel Peace Prize for her contributions "to securing peace in Liberia, to promoting economic and social development, and to strengthening the position of women." She also received the Indira Gandhi Prize for Peace in 2013. Cristina Fernandez de Kirchner is Argentina's second woman president, after Isabel Martínez de Perón served from1974–1976. She served on the legislature for Argentina's Santa Cruz province and the Argentine National Congress before becoming first lady to her husband Néstor Kirchner and then being elected President in 2007 — perhaps setting a precedent for Hillary. Sheikh Hasina is currently in her third term as Prime Minister, having served once from 1996-2001 and again from 2009-2014 before her most recent reelection. She was the target of an attempted assassination by a Bangladeshi militant group last year. Khaleda Zia, another Bangladeshi woman, served as Prime Minister twice between Hasina's first and second terms. Dilma Rousseff, Brazil's first woman president, has been involved in politics since her youth, when she was jailed and tortured for her participation in a guerilla group against Brazil's military regime. She later co-founded the Democratic Labour Party and held various city and state government positions before switching over to the Workers' Party. She served as Brazil's Minister of Energy and Chief of Staff prior to her election to the presidency in 2010. Whether or not we agree with all of these women's policies, they illustrate that women are capable of running countries and that their respective nations recognize this. So, why can't the U.S. say the same? Hopefully, it won't be long before we can.